Qualified AICO Fire, Smoke and CO alarm engineers covering Torbay and South Devon. Finish Electrical are fully qualified AICO engineers and can install and maintain all type of Fire, Smoke and CO alarm systems. 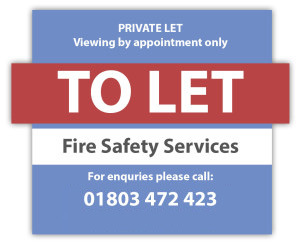 Fire and CO alarms fortunately are now fairly common in both residential and commercial buildings and smoke alarms are now legally required to be fitted to rented properties by landlords. Finish Electrical are fully AICO qualified to install and maintain all types of Fire, Smoke and CO alarm systems. Every year the Fire Service is called to over 500,000 fires which result in over 800 deaths and over 17,000 injuries. Around 50,000 (140 a day) of these fires are in the home and kill nearly 500 and injure over 11,000, many which could have been prevented if people had an early warning alarm system and were able to get out in time. Having an approved working alarm system installed could help save your home and the lives of you and your family. Today there are now a large range of different types of alarms to suit different needs and properties. Please contact us to for advice on which alarm systems are best suited to keep you and your property safe. During october 2015 new laws came into effect to ensure that private landlords in England install smoke alarms and in some instances carbon monoxide alarms in their properties. As well as it now being law to have these alarms fitted, it is also good practice that they are tested each year to ensure they are working correctly. The new law requires a smoke alarm on every floor where there is accommodation and also a CO alarm in any habitable rooms that has a solid fuel appliance. Local authorities have a duty to serve notice on the landlord if there is a breach of the Regulations and can execute remedial action if necessary and make a penalty charge up to £5,000. 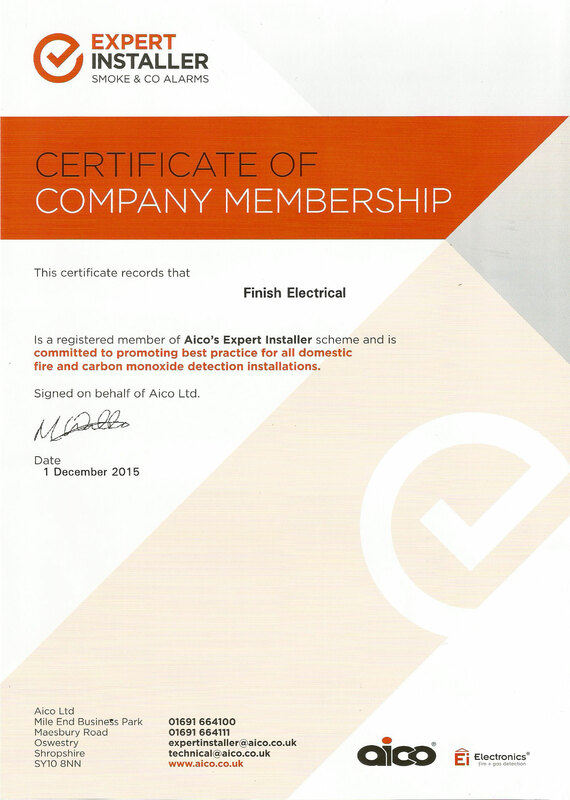 Finish Electrical are fully AICO accredited and able to assist with all aspects of your fire and CO detection system. We cover the planning, installation and annual checking of your fire and CO detection system to ensure your systems are safe and up to date and comply with the law. 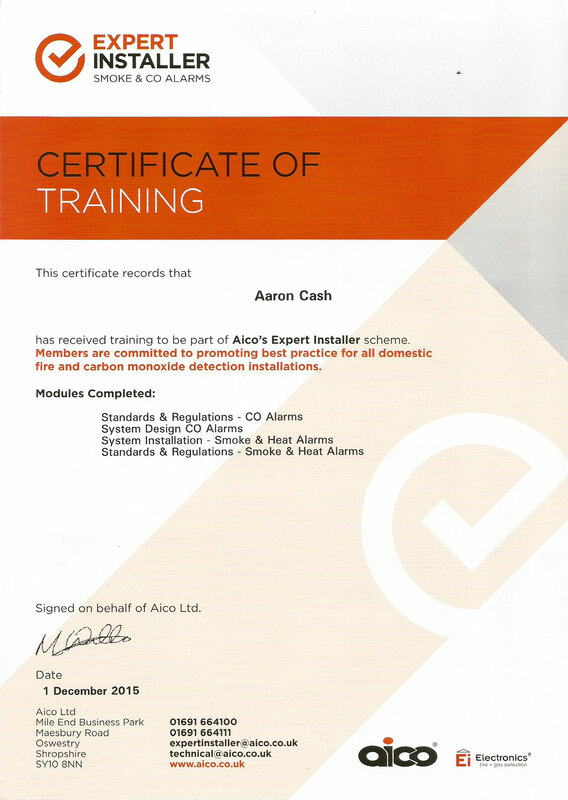 Why Use An AICO Trained Installer? 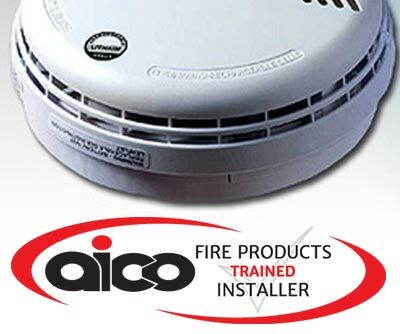 By using an accredited AICO Fire, smoke and carbon monoxide alarm installer you can relax in the knowledge that your alarm system has been installed correctly and is appropriate for the size and type of building it is protecting. Call us today to discuss your requirements and to see how we can help.